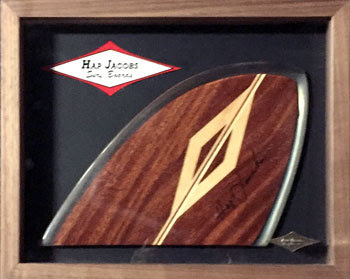 Wood worker extraordinaire, Kenny Brown donated this beautiful framed D-fin, shaped and glassed by him and signed by both himself and Hap Jacobs. We've got it on permanent display in SHACC's showroom. We also have a permanent display of fins at SHACC now.